We’re excited to feature another great business in our “Small Biz Owner” Spotlight series. 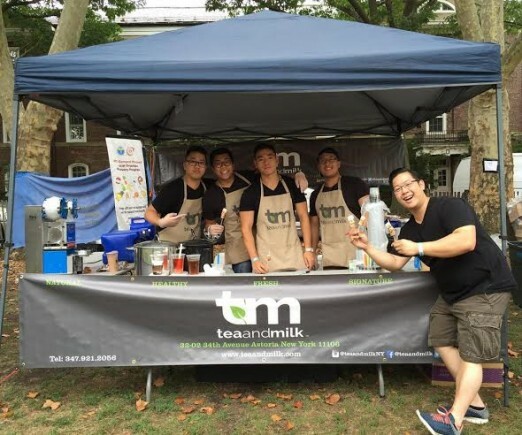 Tea and Milk started with humble beginnings as a vendor at the LIC and Astoria Flea, and expanded to a store front just this year, conveniently located a short walk from the Broadway stop. 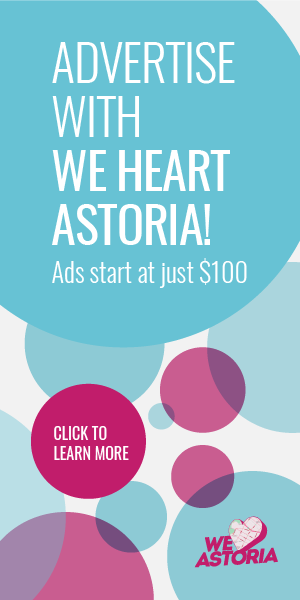 We’re excited to highlight the people in our neighborhood who are the reason we heart Astoria, to find out why they heart Astoria! Concept Teas made with natural, quality and Grade A ingredients with original recipes and concoctions! We DON’T use powder, concentrate juice, flavoring syrups or artificial ingredients! Do you also live in Queens, if so where abouts? No – We live in two other boroughs in Manhattan and Brooklyn but Queens is practically where we spent most of our time now and we do love it a lot! 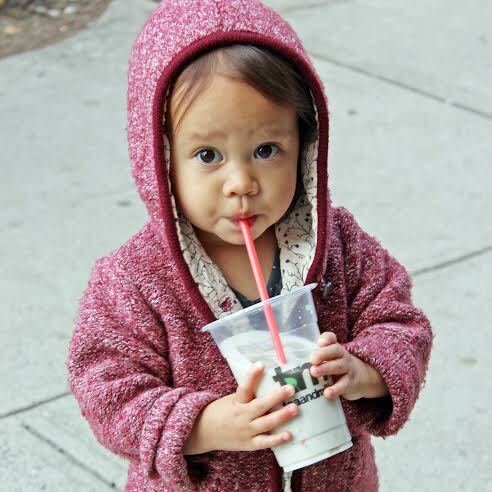 We spend more time in Queens than at our respective boroughs because we‘re always testing new teas at the shoppe. We started at the LIC Flea late 2013 and with that we earned some Queens street cred – In 2014, we continued LIC Flea and the Astoria Flea as their sister market. The fan base in Astoria grew within a matter of 8 Sundays and most of our fans wanted us in Queens. We started looking for an open space and after a few months of searching, here we are! Our fans, neighbors who are like family and the community that supports each other. We are now partnered up with quite a few places in Astoria to promote a better lifestyle from our concept teas! We love Astoria because the support is real! 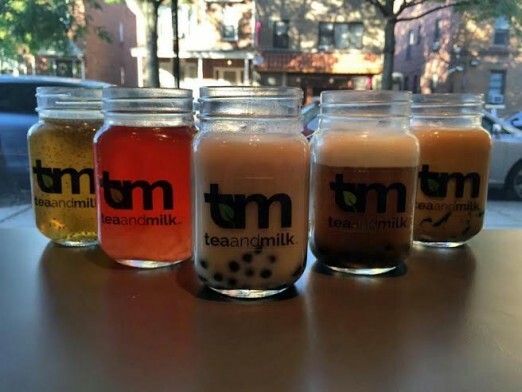 Mat – The Vintage black milk tea with bubbles! You can’t go wrong with the classic! Wilson – Roasted Oolong Tea with our signature cream and topped off with bubbles! I need that coffee taste… that COFFEE TASTE! Kendy – The full menu because they’re all handpicked and blends were all measured by us. If I had to pick one – The Rooibos tea with signature cream because that taste like a vanilla ice cream blast in my mouth! It’s a huge tie between a few.. our Nilgiri Black Milk Tea, Taro Milk, Hibiscus Flower Peach White Tea and Jasmine Green Tea! The diverse culture and the ability to learn and experience food and drinks from all over the world! We think Queens is the King of Foods! 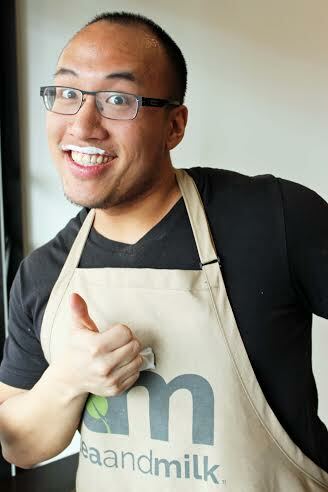 There are quite a few of these moments where people from the West Coast (huge bubble tea community), Taiwan (where bubble tea originates), Hong Kong, Philippines, Italy, Canada and Queens come in to our shop because of someone or seeing something about us and they take the time out to come and try our teas. Then they give us the thumbs up and that “I can’t get enough of this tea” face. We‘ve also had Youtube stars from California come by and give us a try as well! WongFu Productions and The Fung Brothers! Thanks to Tea and Milk for taking the time to chat with us! 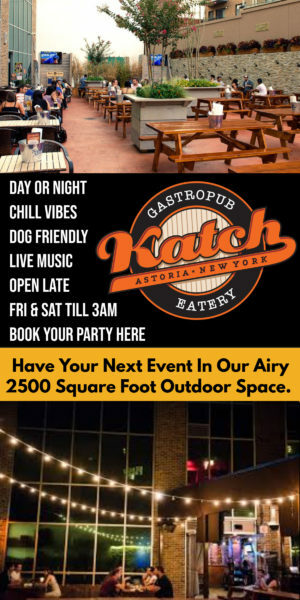 Do you know an awesome business owner in Astoria? Nominate them for the series in the comments!